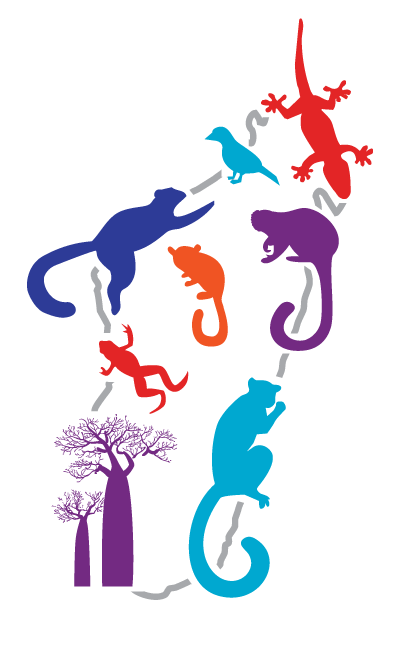 The Lemur Conservation Network (LCN) is a project of the Madagascar Section of the IUCN SSC Primate Specialist Group. LCN connects over 60 organizations who are working to protect Madagascar’s unique lemurs from extinction with people worldwide who want to support the cause. It is a funding guide for individuals—and potential donors—who want to support lemur conservation, and a resource for organizations who want to promote their work. Our blog engages the public in lemur conservation and promotes lemur awareness worldwide. 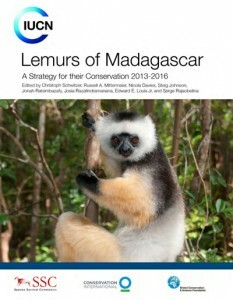 On February 21, 2014, the IUCN SSC Primate Specialist Group of Madagascar published Lemurs of Madagascar: A Strategy for their Conservation 2013–2016 in the journal Science. The Lemur Conservation Network promotes this lemur action plan and the conservation organizations who are working to protect Madagascar’s wildlife. We ask for help from you—our community of lemur lovers and friends of animals and the planet worldwide. Whether you are an individual looking to help lemurs in a tangible way, a zoo looking to support in-country conservation work, or a corporation seeking a worthwhile contribution, you can use the Lemur Conservation Network to focus your donation. The Lemur Conservation Network profiles organizations big and small, in all areas of Madagascar, doing a variety of work. Many of these organizations are certified nonprofits, NGOs and charities, with registration in the United States, France, United Kingdom, Madagascar, and Germany, so donations may be tax deductible. (Look for the organization’s government registration status in the Donate box at the top of each organization profile.) Organizations who have provided us with copies of their legal government registration documents are noted as Nonprofit/NGO Status Verified in this Donate box. Most organizations accept donations online on their website, via PayPal, or through a third party donation site, but some cannot. Don’t be discouraged; these organizations are still doing great work! Contact them to see how they can accept your donation. Each participating organization has a page to share their story with donors, so that individuals can get to know the variety of organizations working to save Madagascar’s unique wildlife, and find lemur conservation organizations to support. All organizations who are undertaking conservation work in Madagascar are eligible to join the Lemur Conservation Network. The Lemur Conservation Network does not take a portion of donations or charge for participation. Would your organization like to be a member the Lemur Conservation Network? Our blog features posts from a variety of researchers, conservation leaders and lemur enthusiasts, so potential donors can learn about conservation on the ground in Madagascar, and become even more interested in preserving Madagascar’s natural wonders. Our Facebook and Twitter pages raise awareness about lemur conservation, and encourages lemur fans worldwide to actively support our organizations through donations. Contact us if you would like to contribute to our blog. We are stronger together. Let’s work together to save lemurs from extinction.